The climate is changing. Species survive if they can adapt. But no climate is changing faster than the climate for local governments. Governments have responded with a number of evolutionary survival strategies, some more successful than others. Can we take a lesson from nature? Like monarch butterflies, many Local governments have changed their structure. Boards of supervisors have been replaced by county management systems, with elected executives or with professional managers. 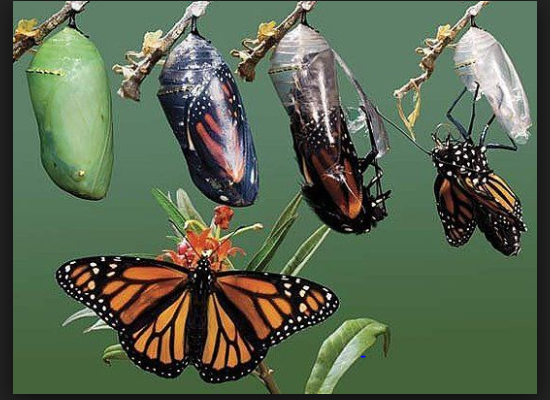 The metamorphosis can be as dramatic as the changes that produce a monarch butterfly. Capital funding stress has been reduced by privatizing infrastructure and urban reclamation projects with industrial development revenue bonds. Public/private Partnerships (P3’s) are an evolving trend to apply the resources of the private sector to meet the needs of the public sector. Economic forces in urban areas strongly support the expansion of educational and medical facilities. Every community has a hospital. Most have higher education institutions. Successful local governments are securing external funding for expanding both types of facilities. They provide badly needed employment opportunities as economic base enterprises—funds come from outside the local community and spurn a powerful “multiplier” economic boost inside the community. This evolutionary strategy requires careful management since Eds and Meds can “swallow cities” if other economic benefits do not offset property tax concessions. National trends have indicated major growth in tourism and travel fuels local hospitality facilities. Local governments have courted hotels and destination tourist attractions to generate revenues from occupancy and sales taxes, both of which fall on non-local citizens, and incidentally, have “multiplier” effects the same as the Meds and Eds. Urban centers with utility systems created in the last century face major maintenance costs. One strategy is to seek state and federal funds for projects to replace aging infrastructure. Once again, such projects also have a powerful “multiplier” impact on local economies. “Ready to go” projects may tap into new resources if the Trump administration moves infrastructure programs forward. The one trillion program may not be “stalled” forever. Other approaches rely on creative leadership to take advantage of latent opportunities like Birmingham’s inland port expansion. The International City/County Management Association has published a guide on financing infrastructure projects. Historically, colonial governments had been financed primarily from property taxes that were an indication of wealth. That strategy worked because the economic resources were located in urban centers. The centers morphed into industrial powerhouses. The workers who supported those industrial powerhouses lived in houses that were taxed at levels subsidized by the taxes on the industries. In some communities tax rates were adjusted by class of property. In others, like New York State, burden was distributed to the commercial and industrial properties by use of assessment policy. When industry and commerce migrated to the suburbs, cities were forced to diversify their revenue sources. User fees, sales taxes and revenue sharing with state and federal aid substituted to create mendicant governments that no longer control their own revenue sources. Hollowed out urban cores in some cities have been revitalized by transforming retail and commercial properties into residential havens for millennials and empty nesters. My column on millennials makes the point that new economic life can come from the next generation. As with other evolutionary changes in nature, there can be unintended consequences. Low-income residents can be displaced as the market value of central city sites skyrockets. On Chicago’s Northshore, single-family bungalows on 30-foot lots have been replaced with million-dollar 6-story townhomes. The City wins taxes, but the original residents win relocation. Another way nature deals with stress is to innovate. Local governments can innovate both internally and externally. Internal innovation can lead to more efficient and effective management decisions by mining financial and operational data with creative software as promoted by many private vendors such as Forecast5 Analytics. External innovation can build customer satisfaction with access and transparency as the City of Syracuse is promoting. The lesson we can take from nature is that evolution is the key to the future of local government. Evolution in nature and in government is risky — the outcome is uncertain. But the outcome of a refusal to evolve is certain: extinction in nature and irrelevance in government.